We believe in the transformation power of the Joe Pilates Method and its ability to positively impact your life. We feature only the highest quality Merrithew Pilates Reformer Equipment and Matwork Accessories. We honor Joseph Pilates’ original exercise designs and deliberately include only those components that we believe will preserve the integrity of authentic Joe Pilates exercises. Why would we add a treadmill and iFIT? We’re diligently dedicated to trying new methods that inspire and motivate you to live an active and healthy lifestyle, and ultimately change the way you live and move every day. With iFIT you can walk in Paris or take a jog in New Zealand and since such a journey requires care and motivation we are there every step of the way! You worked hard and we work you hard here in the studio, now its time to BioMat! The BioMat is FDA approved to relieve minor muscle pain, increases blood circulation, reduces stress and fatigue, and soothes and relaxes. The BioMat eases minor joint pain, and stiffness without the harmful inflammatory response with normal heating pads. The BioMat supports the immune system and over time can improved sleep. Anatomy of Movement Inc. was founded to further explore the benefits of Pilates and BioMat as a form of mobility therapy. Come walk with us, explore no cost and/or low share of cost options! 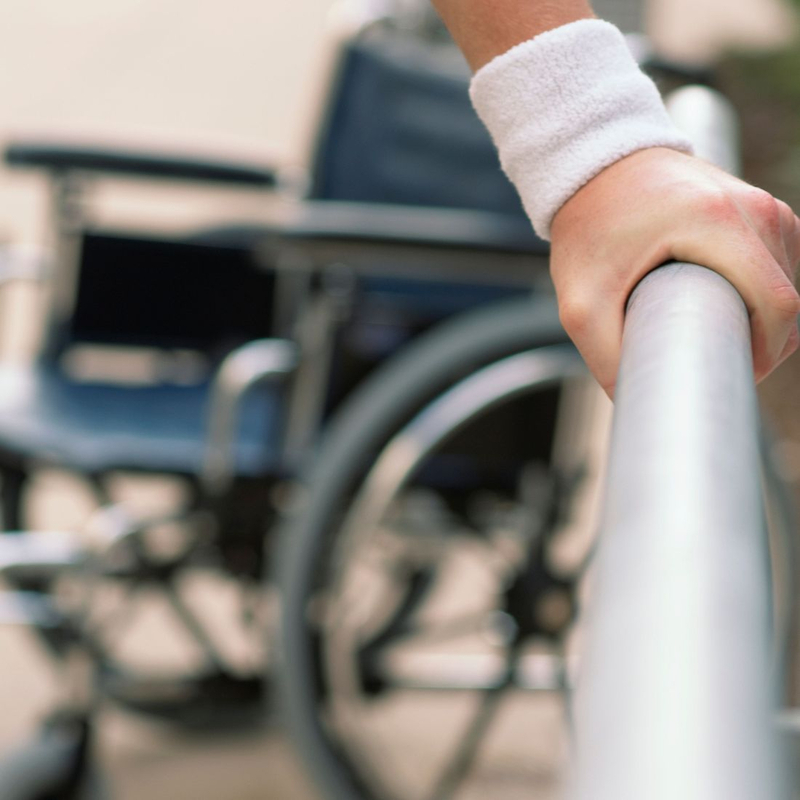 If you suffer from a rare spinal cord and/or brain disease, have mobility problems due to other diseases or traumatic injury, please contact us today to see how we can help! As an authorized practitioner for ProlonFMD (Fasting Mimicking Diet) we support intermittent fasting as a long term weight loss solution. Intermittent fasting has helped many people lose weight with great success and studies have shown they keep the weight off over the longer term. Fasting is just plain tough and doesn’t always make you feel good-interfering with daily activities. Thats why the ProLonFMD comes with a proprietary mixture of micro and macro-nutrients that work together to put your body into a fasting state, while nourishing you for a safer (than water-only) fast that also helps maintain energy levels. Pilates was not Pilates. The original set of 32 mat exercises were called "Contrology". Joe Pilates, the inventor, intended it to be about the art of control, an exercise method where you control your body, mind, and muscles. The moves he designed focus on core muscles in the "powerhouse" (abs, pelvic floor, lower back), proper alignment of the spine, and awareness of breath. It is not widely known that Joe Pilates fabricated his first pieces of equipment, the Reformer, the Cadillac and Chair, from hospital beds and wheelchairs. Dr. Erica Gelsey, Master Trainer, has over 40 years experience using the Pilates Reformer and Gyrotonics equipment (just about daily) since age 11, as a classical ballet dance. She would later operate 3 Pilates Studios up to the time she was diagnosed with Post Traumatic Syringomyelia. Returning once again to the Pilates Method she has regained control over her body and her disease, instead of being at its mercy. We do not offer group classes. Only clients who are pre-screened and approved may do duet sessions. We do not believe Joe Pilates ever intended the Pilates Reformer method be taught in groups. In fact, you can browse thru videos and photographs of Joe Pilates and never see a group reformer class. We feel very strongly that close monitoring and continual oversight are needed to become familiar with the equipment and the myriad of exercises Joe Pilates created. There are thousands! Once you've completed your Postural Analysis, one-on-one classes are required for about 6-12 months depending on the individual and your body's response to Pilates. Everyone is different, but we'll let you know when you are ready to have a duet class or workout on your own! The Reformer has been called the "Fortune Teller" of the body by many healthcare professionals. You will be able to see for yourself the imbalances in your body, where you are strong and tight, and conversely, where you are long and flexible. You will learn more about yourself and your body than you thought was ever possible. We have rooms available for a change of clothes. Loose fitting clothing should not be worn. Long hair should be placed in a tight bun at the top of the head. Please remove all jewelry and any other loose fitting items as the Reformer will eat them! You may go barefoot or wear socks in the studio. A good pair of walking/running shoes are required for iFIT. You may be required to wear compression stockings or bands during the workout as determined by your Postural Analysis. We have the best clients but sometimes things happen and we are running behind. Please remain calm and courteous as we transition the equipment from one client to the next client!